Norman Rockwell’s America was not all white. . .
As early as 1936, Norman Rockwell was portraying African-Americans, Asian Americans and Native Americans with empathy and a dignity often denied them at the time. And he created these portraits from live models. 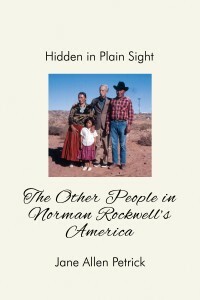 Hidden in Plain Sight: The Other People in Norman Rockwell’s America chronicles for the first time Norman Rockwell’s portrayal of multiculturalism in America, a portrayal that, up until now has been, as Norman Rockwell biographer Laura Claridge puts it, “bizarrely neglected”. People of color, though often hidden in plain sight, are present throughout the more than 4000 illustrations portraying Norman Rockwell America. People like the John Lane family, Navajos poignantly depicted in the virtually unknown Norman Rockwell painting, “Glen Canyon Dam.” People like Isaac Crawford, a ten year old African-American Boy Scout who helped Norman Rockwell finally integrate the Boy Scout calendar. Good biographies of famous people tell us not only what the famous person did but why he or she did it. In Hidden in Plain Sight: The Other People in Norman Rockwell’s America, Jane Allen Petrick explores what motivated Norman Rockwell to slip people of color “into the picture” in the first place. And in so doing, she persuasively documents the famous illustrator’s commitment to and pointed portrayals of ethnic tolerance. This book is an eye opener for everyone who loves Norman Rockwell, everyone who hates Norman Rockwell and for all those people in between who never thought much about Norman Rockwell because they believed Norman Rockwell never thought much about them. Hidden in Plain Sight: The Other People in Norman Rockwell’s America will expand the way you think about Norman Rockwell. And it will deepen the way you think about Norman Rockwell’s America. Whether you are a fan of Norman Rockwell or not, this book is an awesome read. It uncovers little known facts about Rockwell’s private life as well as his paintings, and his beliefs. I love that he went with his beliefs and “hid” people of color in his paintings. The book is short at 125 pages, but you could tell the author did a lot of research prior to writing it. The only complaint I had was that there was not enough of his painting included. I read the ebook version, but think I’d like to read it in print also. I think this would be a good book for students to read in school. They may not be very familiar with Rockwell, but I think they would appreciate learning about him. 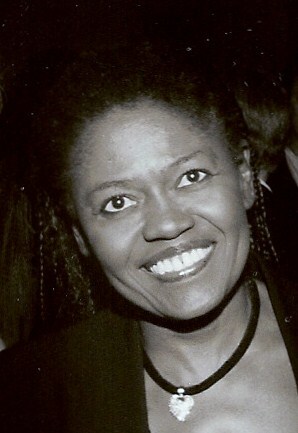 Born and raised in Connecticut, Jane earned a BA in economics from Barnard College and received her Ph.D. in organizational psychology from Saybrook University. Retired as a vice-president of ATT Wireless, she is now an adjunct professor at Capella and American Sentinel Universities, and has provided consultation in organizational behavior and diversity competence to numerous corporate clients including IBM, Nextel and Xerox. Jane Allen Petrick was chosen as one of the “100 Best and Brightest Business Women in America” by Ebony Magazine. Long a passionate supporter of cultural and historic preservation, Jane has contributed to local preservation efforts in both Florida and New York State. A licensed tour director, Jane conducts cultural heritage tours on the East Coast, from the Everglades to the Maritimes. Jane and her husband, Kalle, divide their time between New York’s Hudson Valley and Miami, Florida. I’ve been a fan of Rockwell’s for a long time so I’m glad to see he did this. I saw this book the other day and thought it intriguing. Looks like it is. I may have to pick it up. Thanks for taking part in the tour. I’m so glad you enjoyed Hidden In Plain Sight!